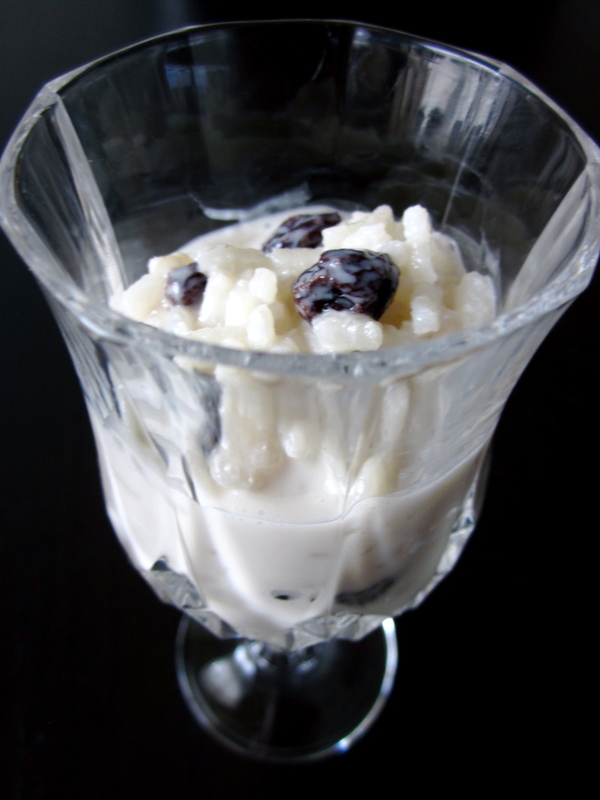 I do love rice pudding: it’s rich and creamy, involves very little chewing (I’m not lazy, just a slow eater) and can be eaten with a little spoon, slowly, one delicate bite at a time. I also adore coconut and in all forms, edible and not: in savory dishes and sweet desserts, in body lotions, in candles and in perfumes. So you can imagine how happy coconut rice pudding makes me! This recipe (an adapted Dorie Greenspan courtesy of Slow Like Honey) is actually incredible. I think it’s because most of the “cooking” is actually done in the refrigerator. The pudding sits in the fridge for at least 6 hours, the rice slowly absorbing the coconut milk. I never want to eat plain rice pudding ever again! Oh, joy, and this is so simple to make too. I changed the amounts a bit, but followed the directions as stated. That said, I think you could just as easily skip some of the steps, like the whole parboiling business—I’m pretty sure no major harm would come of skipping this. However, though listed as optional, do please add raisins and do serve it topped with chopped almonds; they make every biteful full of crunch and juicy pop. Put the rice and water in a heavy-bottomed saucepan and bring to a boil. Lower the temperature and cook the rice, uncovered, for 10 minutes. Drain the rice in a strainer and rinse it; set aside. Rinse out the saucepan, then pour in the whole milk and coconut milk, stir in the sugar, and set the pan over medium heat. 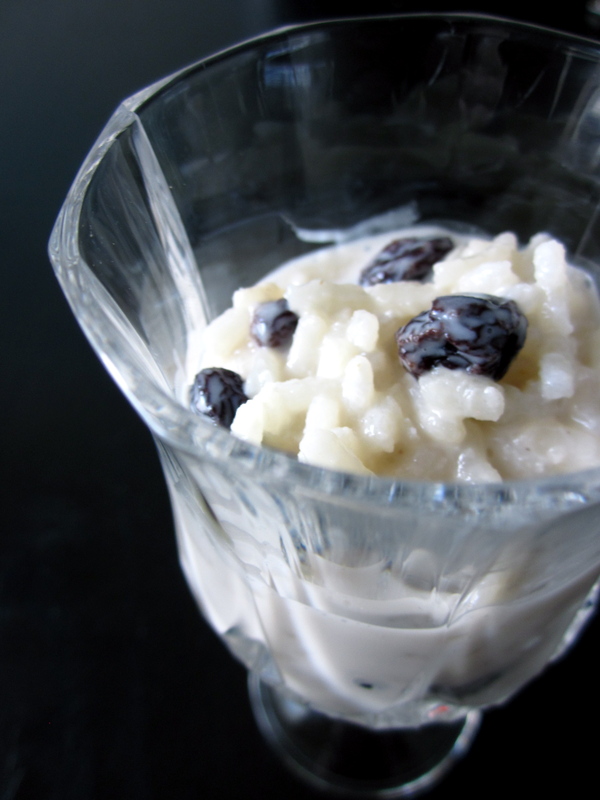 When the milk mixture boils, stir in the parboiled rice and raisins. Reduce the heat to low and let the mixture bubble away gently, stirring occasionally, for about 30 minutes. As the pudding gets close to done, the rice kernels will be visible in the boiling milk- you’ll see them floating under the top layer of milk. The pudding won’t be thick- that’s okay (it will thicken in the refrigerator)- but the rice will be soft and it will have absorbed 80 to 90 percent of the milk. Remove the pan from the heat and decide what flavor you’d like the pudding to be- add either the vanilla or chocolate and stir gently until it is fully blended in to the pudding. Pour the pudding into a serving bowl or into individual cups or bowls. Press plastic wrap against the surface of the pudding to prevent it from forming a skin, and refrigerate for at least 6 hours, until thoroughly cold. Serve topped with chopped almonds.